When Al Barrett began his musical career at the age of 13, he had no idea that all these years later he would be a successful singer, guitarist, entertainer and teacher. Music is his life and it shows. Whether it is a corporate dance or intimate pub, his warmth and skills are there every night he performs. An accomplished guitarist and singer, he will remind you of the styles of Pink Floyd, Stevie Ray Vaughan, The Eagles, Led Zeppelin, Eric Clapton, The Beatles, CCR, Stevie Wonder and The Guess Who, just to name a few. Al aims to please. Al began guitar lessons in September of 1972. He was hugely influenced by seeing the Beatles on "The Ed Sullivan Show" in the early 60's. Al started in his first band, "Phase Five", in the mid 70's. The first song he played in a band was "Johnny B. Goode". He's been a Rock'n'Roll guitar picker ever since. Al has been very interested in so many styles as he discovered music, and this, is very evident in his playing. Born and raised in Winnipeg, Manitoba exposed him to "The Guess Who". Music has been, and will always be, Al's ultimate passion! Stormin' Norman has been playing music ever since he can remember. His formal training includes Royal Conservatory piano as well as trumpet throughout his school years. Norm discovered drums at the age of 10 and figured it was way more fun than piano! Starting his first cover band at age 13, he played locally around the Okanagan Valley, sharing the stage with bands like Trooper, Sweeney Todd & Flash Cadillac. Moving to Calgary in 1975, he continued to tour with several different acts throughout Alberta including Night Train, Ransom & the Jacklyn Sparrow Band, to name a few. 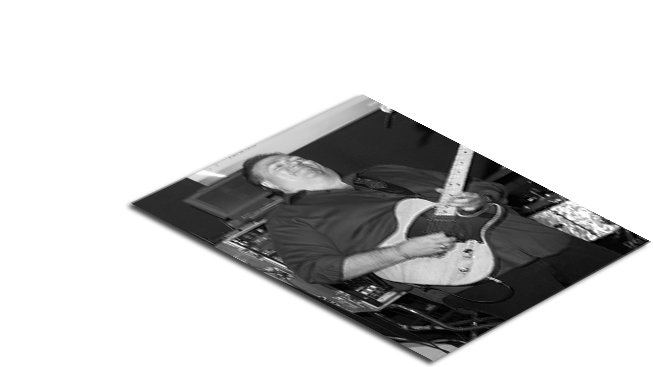 Norm brings more than 50 years of playing experience to the Al Barrett Band and just like the band, he is energetic and totally dedicated to bringing the best live music to our audience! *please only press submit once, as it may take a moment to process. Want to reserve a gig?